One of the coolest things about developing content for your website is the incredibly long shelf life of your efforts. I have written pages for clients that continue to work year-end and year-out with little to no changes. For example, recently a home improvement client told me how a page I wrote for him ten years ago got him a $25,000 job. 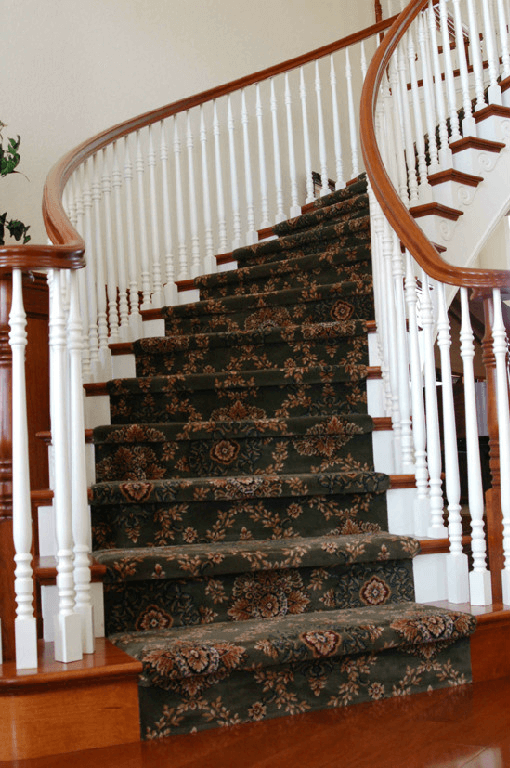 Someone in a city located 70 miles away didn’t think a local company would properly handle the installation of carpeting on a curved staircase. They got on the Internet and found my client’s company, which had a page with an example of a curved staircase installation. What is particularly interesting is that my client is located in a town of 55,000. The customer lived in a city of 365,000. The larger city has numerous flooring dealers. Yet it was my small-town client’s web page that secured the city customer’s trust. Companies that sell home improvement products that have visual appeal should develop “portfolio” pages to show off their particular expertise in any given area. Yes, fashion changes. But many home fashion styles are classic or eclectic enough that a page about how a room was decorated can last for many years. Easy Web Tip 243: Well-developed portfolio content can last for years, even with changing styles. I always enjoy your news letter. I miss seeing you for those Wednesday morning breakfast. You had have given me a qoute to to review my site. That was back when the economy was really struggling and things are a little better know. Contact me when ever you get a chance so we can reconnect. Yes, Steve, it’s great to hear from you and I miss seeing you at the meetings as well. I’ll contact you Monday. Loved this article Katherine. And that picture is truly incredible. You’re right on how long web pages last. I built a website for my husband’s house painting business, and we continue to get leads years later. I originally found you through your podcast with Ed Gandia which I found very helpful. Thanks, Carol, for the kind words and the confirmation of my point. Ed is terrific. I’m glad you’re a listener.